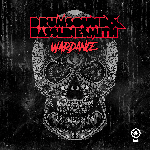 From the music industry’s finest taste-makers, to the die-hard junglists populating clubs and festivals each weekend, one thing rings out loud and clear; no one can get enough of Drumsound & Bassline Smith’s floor-burning sound. ABC have collaborated with five of South Africa’s most forward thinking brands, to stage the award winning Drumsound & Bassline Smith on both sides of the equator! Support will come from South Africa’s number 1 ‘Niskerone’ & ABC’s Sour D.